Frankly, Why Do You Even Think You’re Right? I felt like such a thickhead. Why hadn’t I checked the vent? I did when we had the problem with the dryer’s thermostat. So why didn’t I check this time? Because I knew it was an old dryer, and so it was definitely wearing out………..which of course was all wrong. The above is the classic Mercator projection, which has its origins in 1569 and with the Flemish geographer and cartographer Gerardus Mercator. 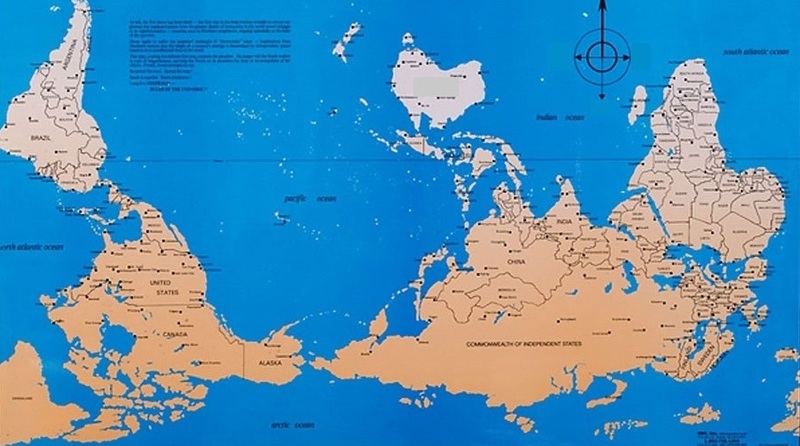 Some readers will recognize it as the map they saw on the wall in their elementary and middle school classrooms. Now, all maps have distortion. You can’t represent a sphere (3 dimensions) on a piece of paper or flat surface (2 dimensions), and not have distortion. And each projection has different types of distortion. So, a question: How big is Africa? Check the map above, and what’s your answer? 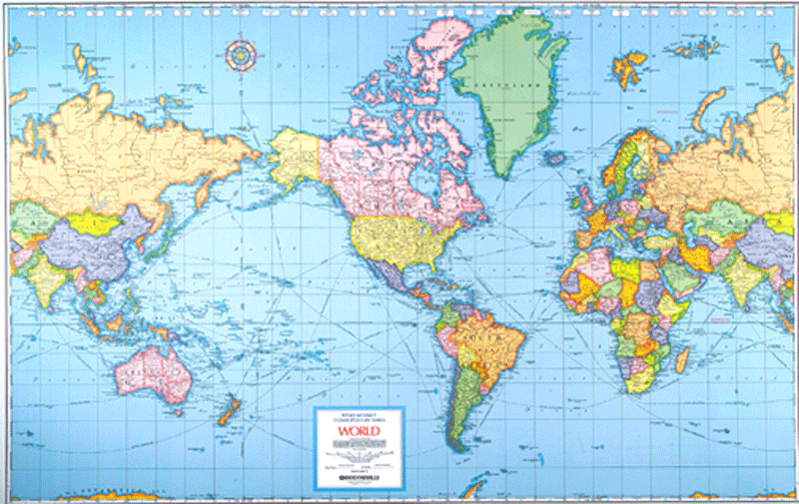 The above is the Gall-Peters projection, an equal area projection. 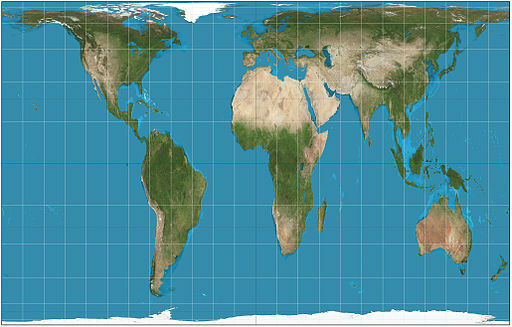 In this projection, although the shape of the continents and land masses are distorted, their relative sizes are preserved. So, indeed, Africa is that big. You can fit 3 USA’s or 3 Canada’s into all of Africa. Go back to the Mercator projection (the 1st one above), and look at Greenland and Africa. You can fit 14 Greenland’s into Africa. My assumptions about my “broken” dryer and the Mercator projection in particular, demonstrate that we hold idiosyncratic, fixed mindsets or worldviews we’re unconscious of. When we confront something that conflicts with that worldview, we have the possibility for insight, knowledge, and therefore, growth…but only if we’re open to it. We can hold steadfast in our view (“It’s 13 years old; time to buy a new dryer.” “North America is bigger than Africa.”), or we can remind ourselves that our worldview may not be perfect or accurate. Take a look at the image below. What is this? Somehow it just doesn’t look quite right, and yet there is no true “up” on Earth. Literally, our worldview is pretty hard to shake.